The Fall finale of “Empire” aired last week, but fans were gifted with a big surprise on Wednesday night (Dec. 9) with regular cast member and other celebrity guest performances during a White Hot Holiday Special. 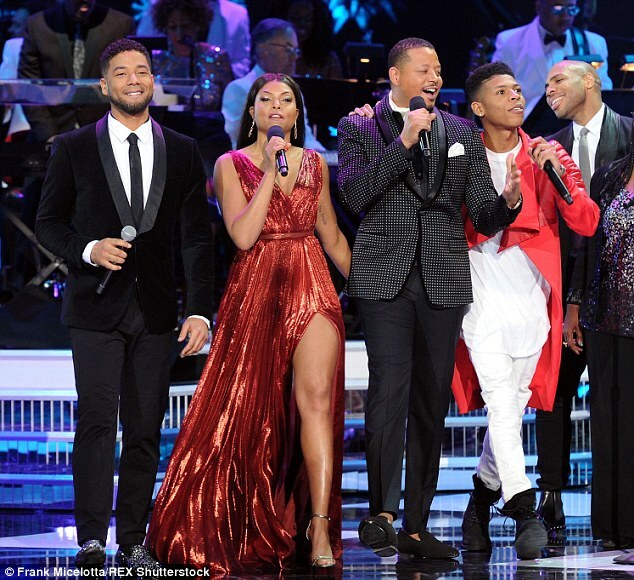 The show was co-hosted by none other than Terrance Howard and Taraji P. Henson themselves, and nothing but love was in the air as they spread some holiday cheer. Check out a few pics and performances below.